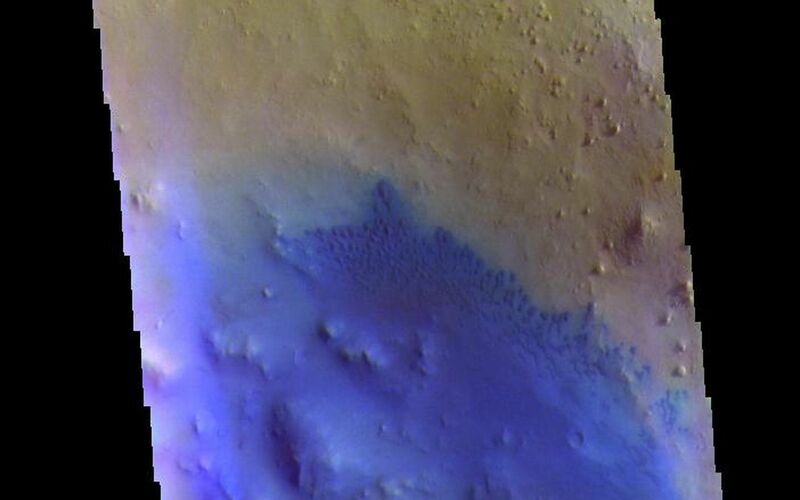 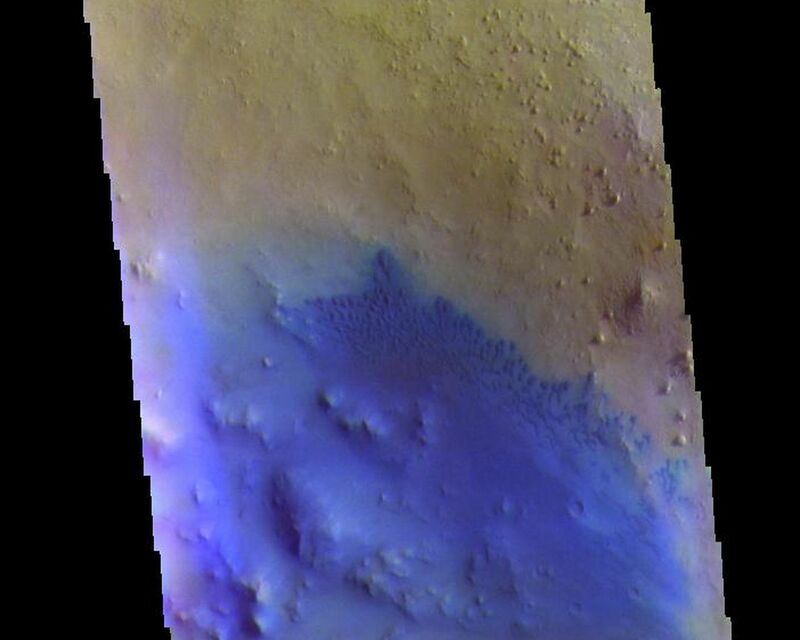 Today's VIS image is located in an unnamed crater in Arabia Terra. 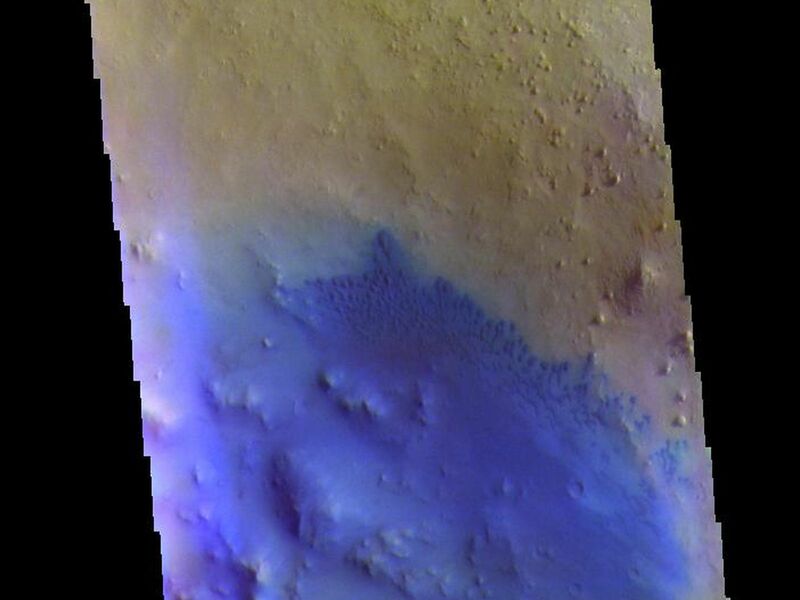 Dark blue in this combination is typically basaltic sands. 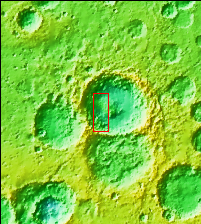 The presence of sand dunes with this tone indicated that these dunes are of basaltic composition.